She ascended the thrones of England, Scotland, and Ireland in 1702 at age 37, Britain's last Stuart monarch. Five years later she united two of her realms, England and Scotland, as a sovereign state, creating the Kingdom of Great Britain. 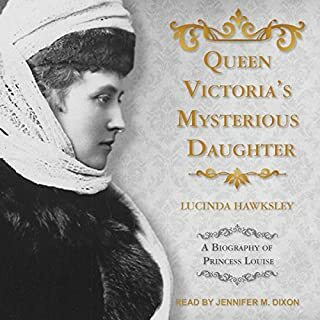 She had a history of personal misfortune, overcoming ill health (she suffered from crippling arthritis; by the time she became queen she was a virtual invalid) and living through 17 miscarriages, stillbirths, and premature births in 17 years. By the end of her comparatively short 12-year reign, Britain had emerged as a great power; the succession of outstanding victories won by her general, John Churchill, the Duke of Marlborough, had humbled France and laid the foundations for Britain's future naval and colonial supremacy. 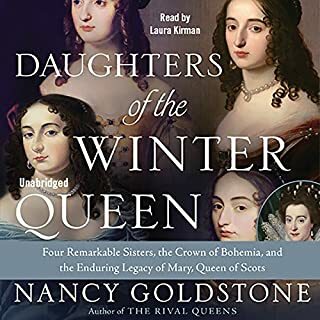 While the queen's military was performing dazzling exploits on the continent, her own attention - indeed her realm - rested on a more intimate conflict: the female friendship on which her happiness had for decades depended and which became, for her, a source of utter torment. 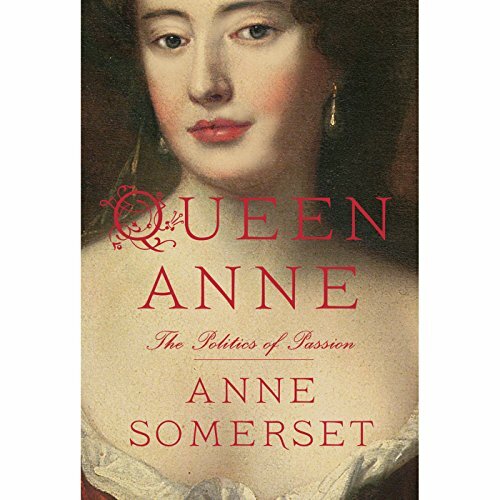 At the core of Anne Somerset's riveting new biography, published to great acclaim in England, is a portrait of this deeply emotional, complex bond between two very different women: Queen Anne - reserved, stolid, shrewd; and Sarah Churchill, Duchess of Marlborough, wife of the queen's great general - beautiful, willful, outspoken, and whose acerbic wit was equally matched by her fearsome temper. 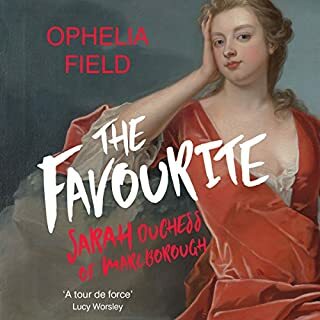 Against a fraught background, the much-admired historian, author of Elizabeth I , tells the extraordinary story of how Sarah goaded and provoked the queen beyond endurance. 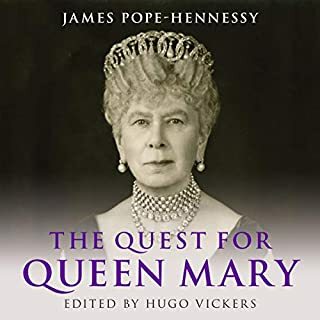 This is a good biography of Queen Anne. But Hannah Curtis is not good. I was looking for history as I knew nothing about Queen Anne, other than the tragedies around child birth. She is featured prominently outside of St. Paul’s in London. Story was more about the times prior to her assenting to the throne. I would have liked to hear more about what she accomplished and how she reigned. There is a lot about her personal relationships which made her appear weak - not sure that was the intended take away. Still in all, I am better informed now so I guess the book did the trick. Too long. Too many repetitive details. Chronologically confusing. Being read out loud with clear but monotonous inattentive voice. I appreciate the writer's effort for her extensive research. But too much information became redundant and tiring to hear. It may attract wider audience if this book has been heavily trimmed or rewritten with precision. Thorough and sympathetic without being maudlin. Queen Anne, the court, and the events of her lifetime, are described with many references to original sources, but told very fluently. I was never bored with any "dry" places. 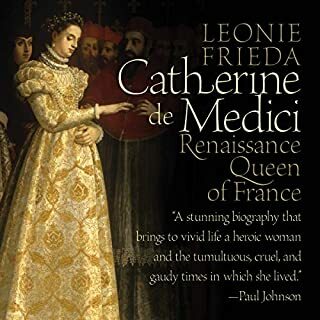 This biography does evenhanded justice to an underrated monarch and to an underrated personality. Dry history delivered in a halting deadpan monotone. 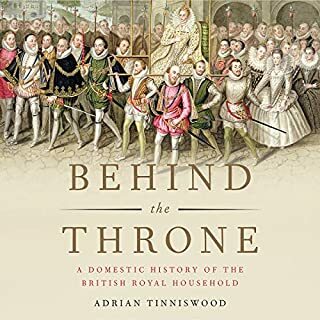 I struggled through to the end because I wanted to learn about Queen Ann before seeing the movie, “The Favourite.” While the Book seems based in thorough research, it was not an enjoyable listen for me, and I am a lover of history. I am left informed of the subject, but not satisfied of the delivery. There are too many characters and no explanations. This book is too difficult to follow in an auditory setting. I may read the book but I will stop listening to it. Interesting and informative. A bit long winded in parts. Narrator slow and clear with good expression. Too focused on political machinations of her close advisors in last chapters. Performance was excellent. Extremely well researched .